With our new build action for Python, Buddy will run your pip & nose test commands with no need for additional configuration. 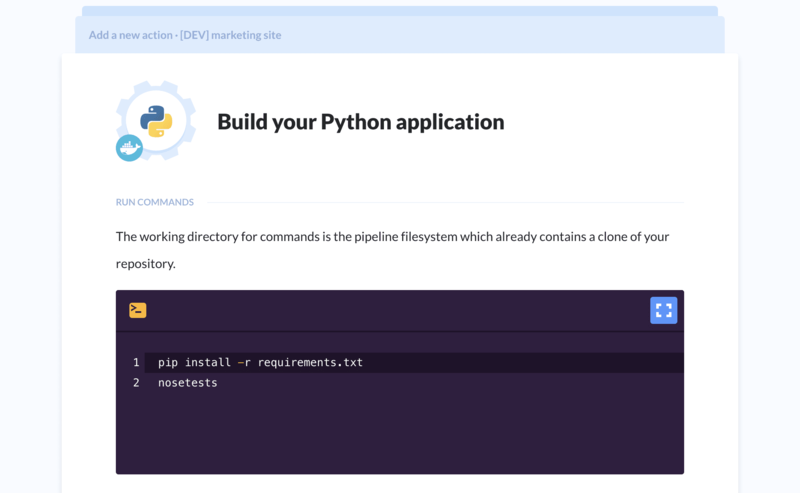 Pip is a package management system used for installing and managing software packages written in Python. Many packages can be found in the Python Package Index (PyPI). Nose, however, is a unit test discovery & execution framework that you can use to extend unit tests and make testing easier. Both pip and nose are preinstalled in the Buddy’s Python action.